Essential plot rundown: This documentary takes you behind the scenes of Pixar from its creation to present day. This was a well made documentary. It was really interesting and engaging. And just like any well made film, it evokes several different emotions along the way. The thing I loved most about this story was the idea of pursuing your dreams. 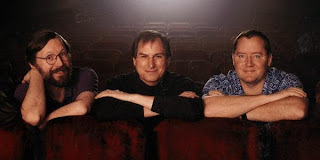 It shows all of the problems and what not that John Lasseter faced, but because of his conviction to his dream, his goal, he was able to overcome all the obstacles and obtain what he wanted the most. I felt it was a little inspiring. 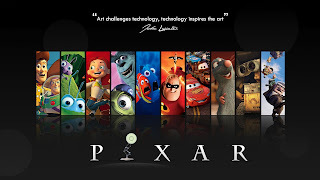 The Pixar Story documents what went into establishing the company and all of the problems encountered while creating such films as Toy Story 2. But, because John believed strongly enough in his dream, he accomplished. It was also great to see all of these different people doing what they love for a living. I'm currently a film student, so seeing these people doing this is inspiring and gets me excited to be working on projects. I'd be watching and I'd think: I soo want to work there! That looks awesome! There were two quotes that really stood out to me. I'm not sure where the first originated (when I googled the quote, Michael J. Fox's name popped up a lot) but it was said in the film. It was: Film is forever. Pain is temporary. I really liked it because it helps you overcome fears or whatever and grow as an artist. The other quote comes about as a guy is asked what the formula is for a successful movie. He responds something like this: It's really pretty simple. Everyone here loves films. And they just want to make something they themselves want to see. If you are making something you would want to watch yourself, you're going to put more effort, invest more into it. And this will translate through to the audience. Overall, this a great documentary. If you are interested in Pixar, animation, movies, entertainment, or anything else of the sorts, I highly recommend it.